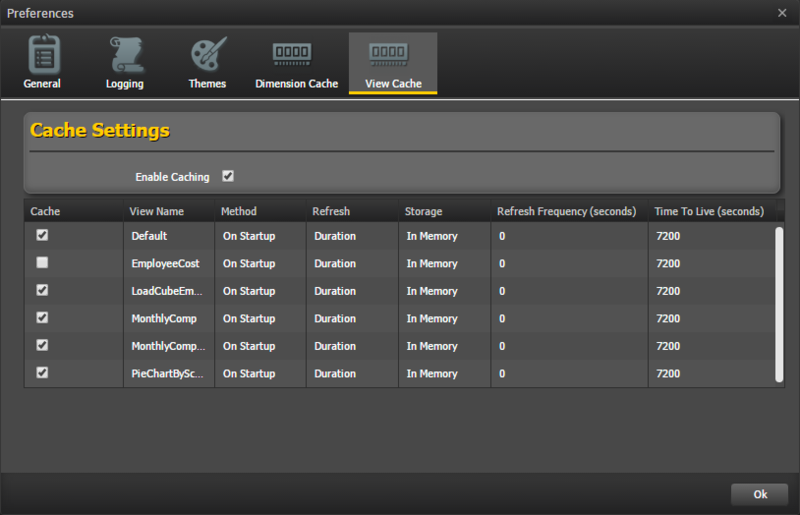 ❑Enable Caching - Checking this will enable caching of views on the local system. Note that for views(s) to be added to the global cache, you must enable caching for each view desired by checking the Cache checkbox on the row of the view name. ❑On Startup - View will start running in the background as soon as the web application starts. Once it finishes running, it will be added to the cache. 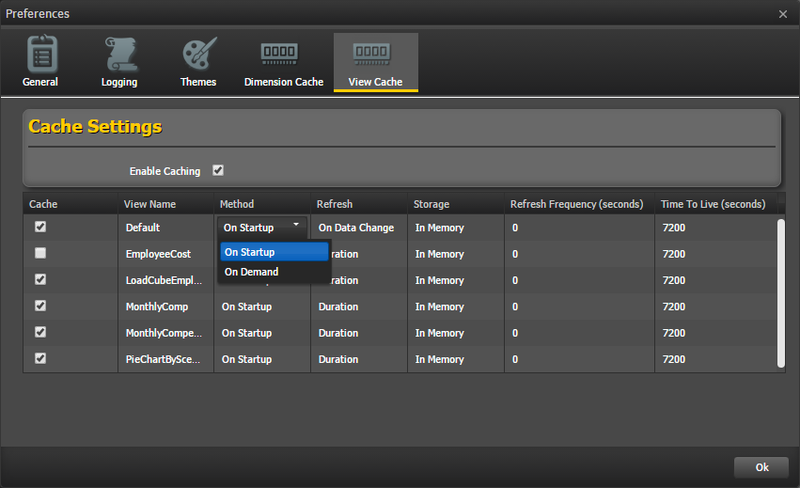 ❑On Demand - View will start running in the background when it is requested the first time. Once it finishes running, it will be added to the cache. ❑On Data Change - The application will check for cube data modifications at a specified interval (also specified in the Refresh Frequency column). 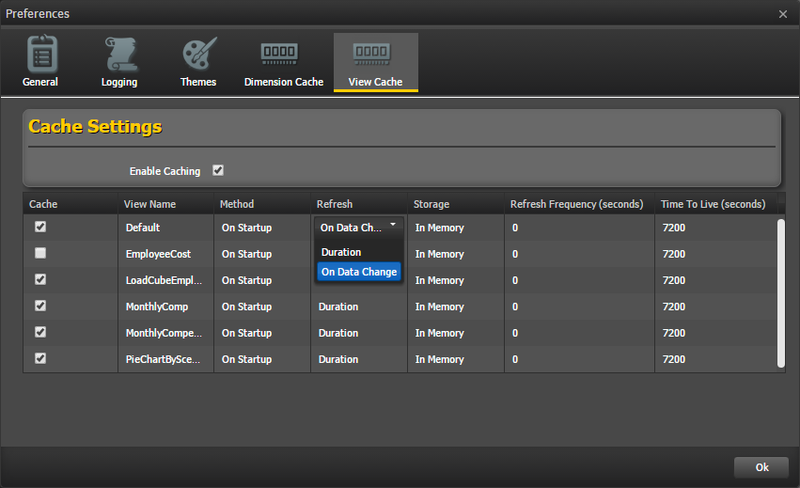 If data modification is detected, the view will refresh in the cache. 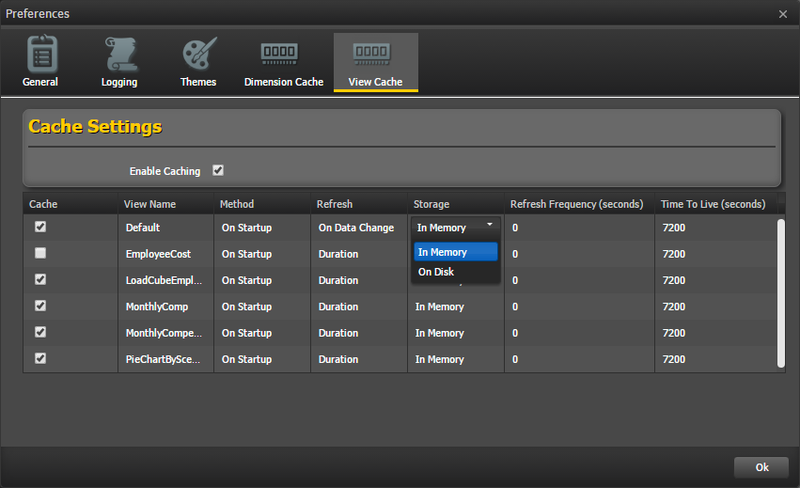 ❑Refresh Frequency - Time interval (in seconds) in which the application will refresh the view in the cache. If zero is specified, the view will never be refreshed. ❑Time To Live - Specifies the time duration, in seconds, that the view will remain in the cache. If zero is specified, the view will remain in the cache indefinitely.